Dementia, Alzheimer's Disease and other brain structure impairments can offer symptoms that make an accurate diagnosis difficult. An open MRI test is one way that a doctor can come up with a much more definitive diagnosis so that a patient can begin treatment earlier. It can be a long process of elimination, but the open MRI is a proven way to help bring the answers that patients and their families need faster than ever before. One of the first signs of Alzheimer's Disease is a marked loss of memory and misplacing things like car keys and wallets, or purses. It is not unusual for this to happen a little as people age, but when it starts to become a recognizable patter, there could be a problem. Eventually the symptoms can progress to withdrawal from daily activities, mood changes, getting lost and not recognizing close friends, or family members. An open MRI is not able to show the doctor if the patient has Alzheimer's, but it will show if there are other problems that can be causing the symptoms. Damage to internal brain structures and blocked blood vessels can cause some of the symptoms that mimic Alzheimer's. A clean MRI will allow the doctor an insight into a quicker and more accurate diagnosis. An open MRI machine is the best equipment to use for a patient that might be suffering from Alzheimer's. They are less restrictive and less apt to cause anxiety. The test can be done quickly and the patient allowed to return to the friends or family that brought them in for the test. Patient comfort is critical and the open MRI offers excellent results right away. The open MRI is one of the best diagnostic tools a doctor has to help determine if a patient is dealing with Alzheimer's Disease, or there is another medical issue lurking that needs treatment. It is a fast non-invasive way to get a clearer picture of the brain health of any patient. The earlier a diagnosis can be made, the sooner treatment can begin. It will help improve the overall quality of life for those suffering from Alzheimer's. 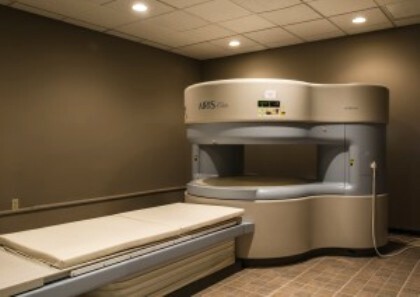 Contact imaging specialists like middletownimaging.com/services/open-mri/ and see if testing with an MRI is an option for you or your loved one.